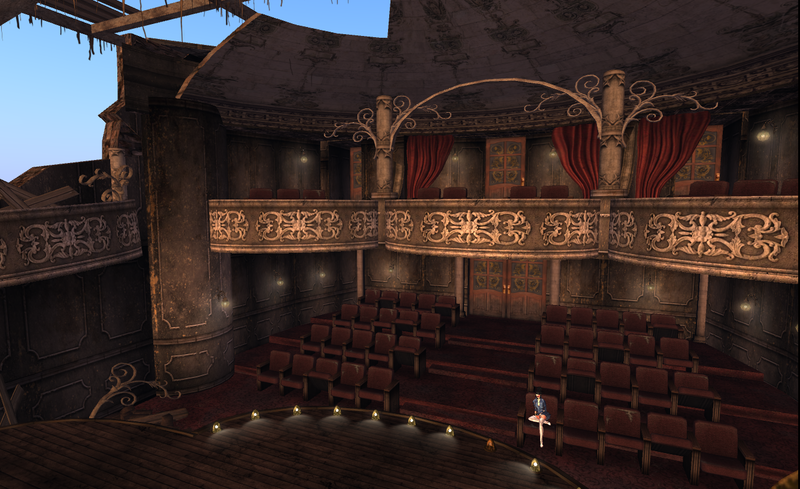 The Rose Theatre is one of most beautiful event venues in Second Life. Regularly are held there concerts and other live events. I love the whole structures, love to walk around and to explore the beauty of the rooms and their interior. The Gallery, curated by Kylie Sabra is very active and quite popular. I am am usually not happy with all displayed works. It always leaves mixed emotions from wonderful to hm... But thats how a big gallery has to be. Something for every taste. I like the the room decorations is matching the style of the artists. But see for yourself. It is always work a walk. 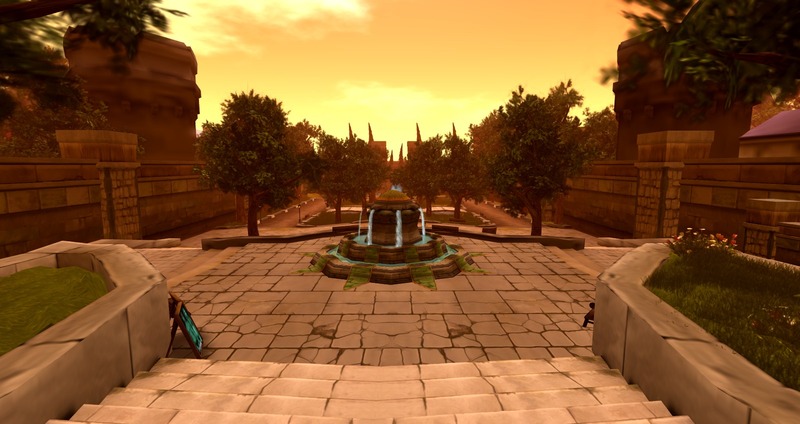 The current artists are: Anrod Meads, Barabba Kappler, Bear Silvershade,Dulcis Taurog, jessicabelmer, Kylie Sabra, Lilia Artis, Molina Rhode, Nino Vichan, sinalein. To lose confidence in one's body is to lose confidence in one's self." 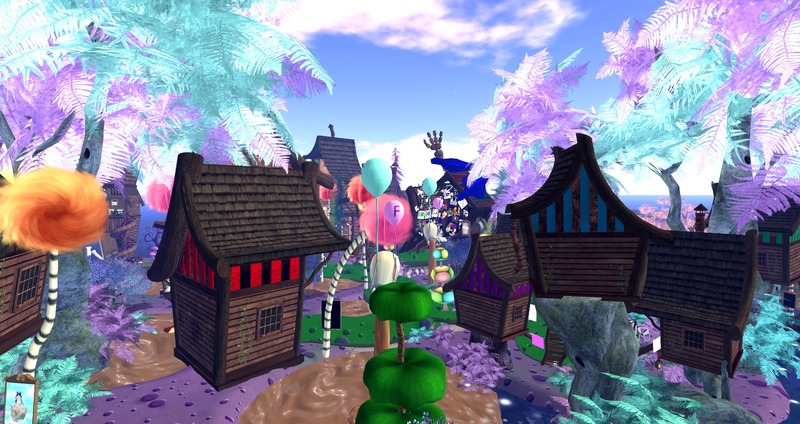 Gracie Kendal, Kristine Schomaker RL is known for her avatars projects. The quote above is the beginning of her inworld artist statement. I think almost everybody understands how it is to feel RL much less perfect in comparison with the own avatar.We live in a society where physical attractiveness is more than ever more important as so called inner values, it became actually a trade good which brought huge industries to life. 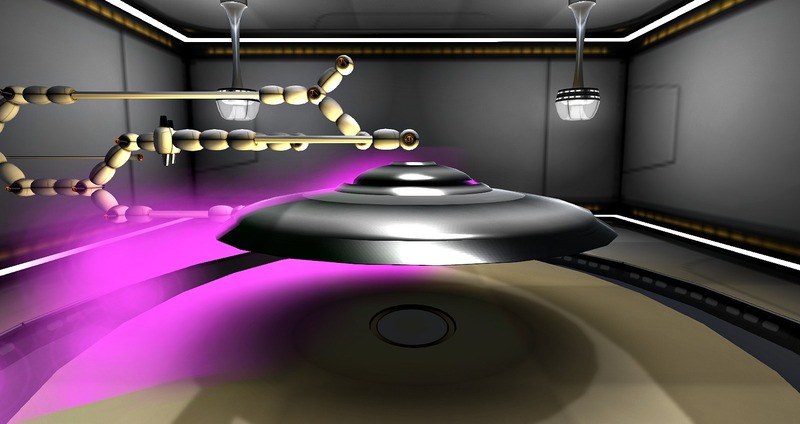 Physical attractiveness found therefore interest in science. From this research it is proved that from the first day on beautiful people are treated better, have it easier life and are more successful. I think the only remedy is self confidence as it influences the radiance of a person. Looks as if fellow co-blogger Ziki Questi and I follow the same paths currently. When I finished taking pictures at Ascension I saw that she already posted last night. I am actually grateful for her post because it gives me the chance to discuss some topics. And please have in mind that this is my personal, politically totally incorrect opinion. I am neither scientist, nor art teacher. Please read Ziki's post. 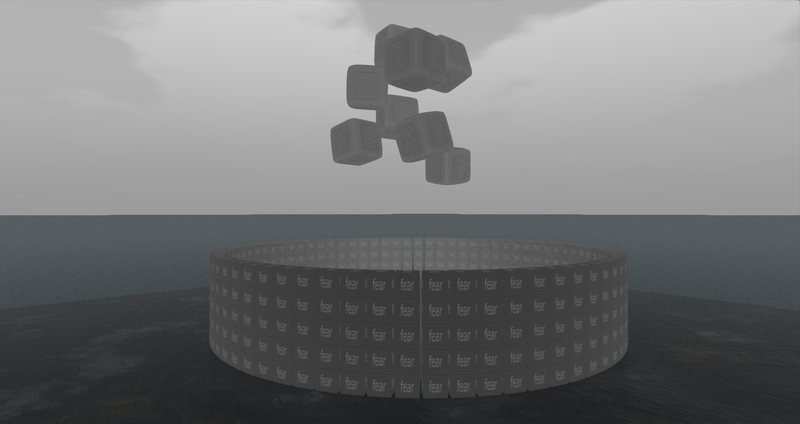 It is as usually well written and should mirror the opinion of the majority in the art scene of Second Life. And to an extend I agree with her. To me, it is very well built, I like the play with sounds and lights. The visitor should take the time to touch all pads, try all items and to watch and hear. 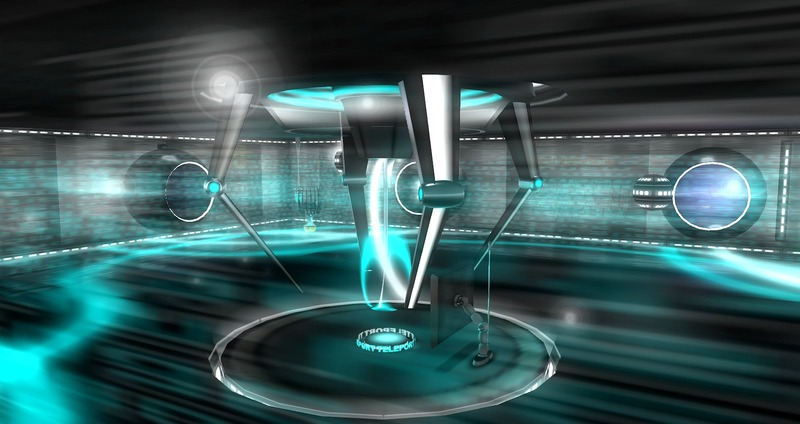 And I like too the artificial, futuristic architecture in a unreal looking world. 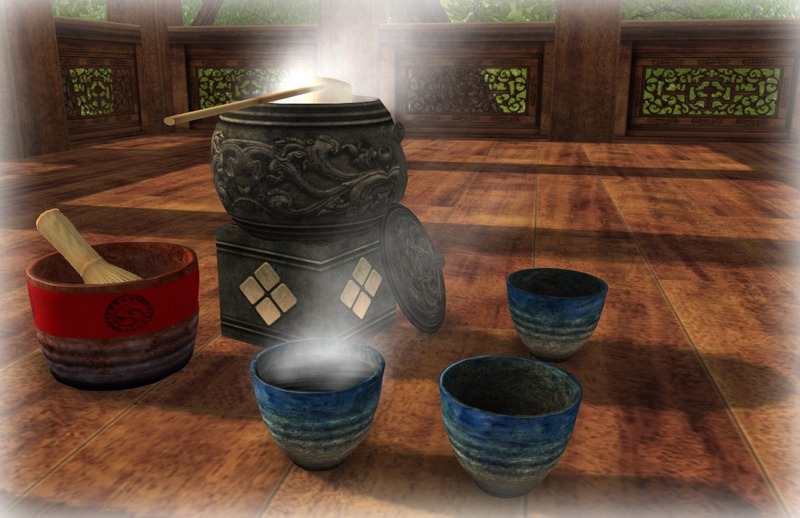 But there is a bit to much advertising for the inworld shop. I don't need in every bloody corner a board with LM and always the same artist statement note card. And I missed a bit more ideas in the work, I saw a bit to much repetitions just in other colors. 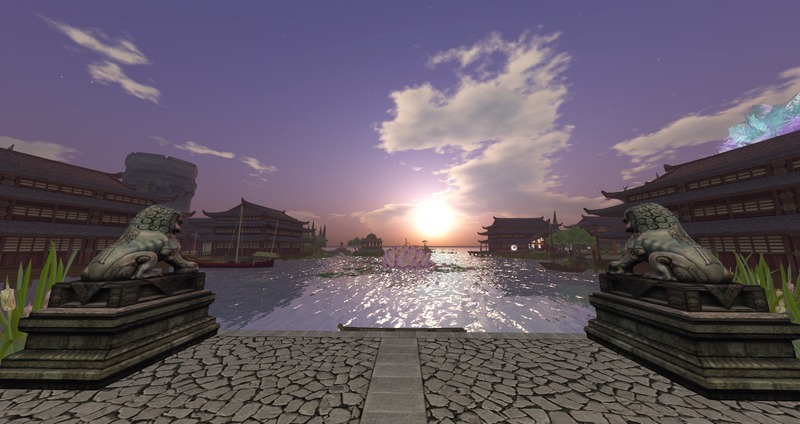 Although Second Life is a virtual world, it is very much vintage. 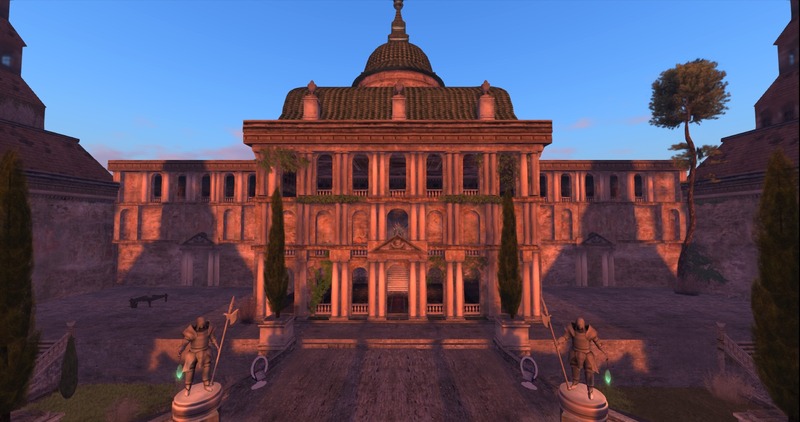 Roleplay sims often have a historical background, virtualised novels usually refer to books which are 100 years old or older. Just think about Lovecraft or all the Alice sims. I am already that much fed up with Alice that I will soon write a post about it. Maybe this virtual vintage world is due to the fact that most of us are in the second half of our real lifes, to say it nice. The same with art. 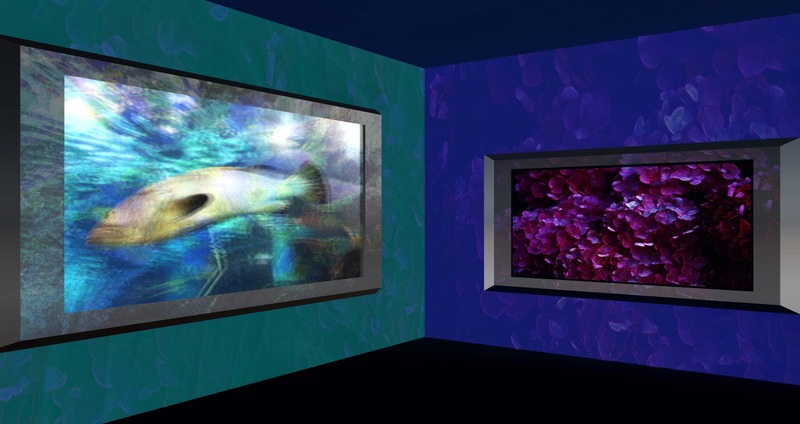 Don't we all agree that VIRTUAL ART IS THE FUTURE OF ART? . But what do we see? 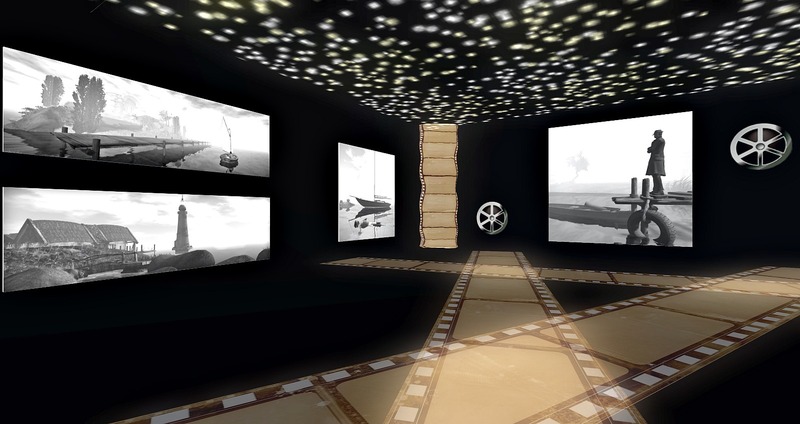 Uploaded handpaintings, conservative 2D art made 3D, lovingly reproductions of historical buildings. 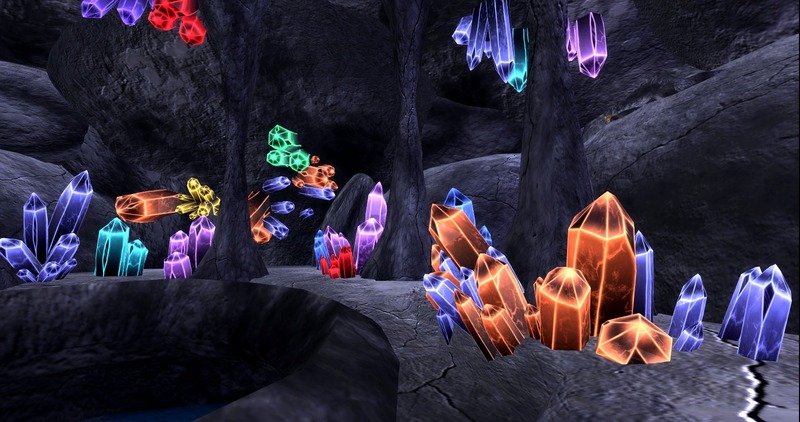 How many artists really use the possibilities of the virtual worlds to explore new ways of art creation? Of course, some do. To name a few which come spontaneously in my mind: Betty Tureaud, Thoth Jantzen, Oberon Onmura, Pol Jarvinen, Giovanna Cerise, Solkide Auer and yes, Mantis Oh. And there are more, but I think you understand where I am going to. The wonderful Austrian painter Friedensreich Hundertwasser created a lot of buildings with a vision of a different kind of houses, as you might know. Long ago I saw an interview with him where he was asked why he as painter came to construction. He answered: "In the old times houses has been so nice that painters painted them. 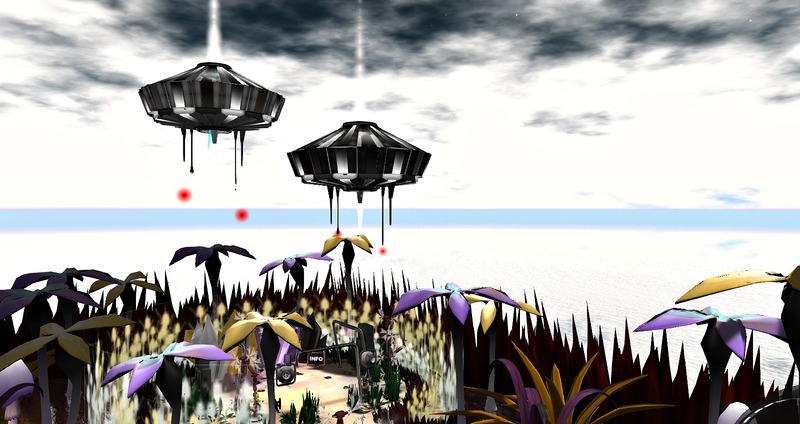 Nowadays they are so ugly that we must create them.” I wonder why so few visionary force in Second Life goes to ideas of our future life's instead of always looking towards the past and to try the best possible idealized virtual copy. 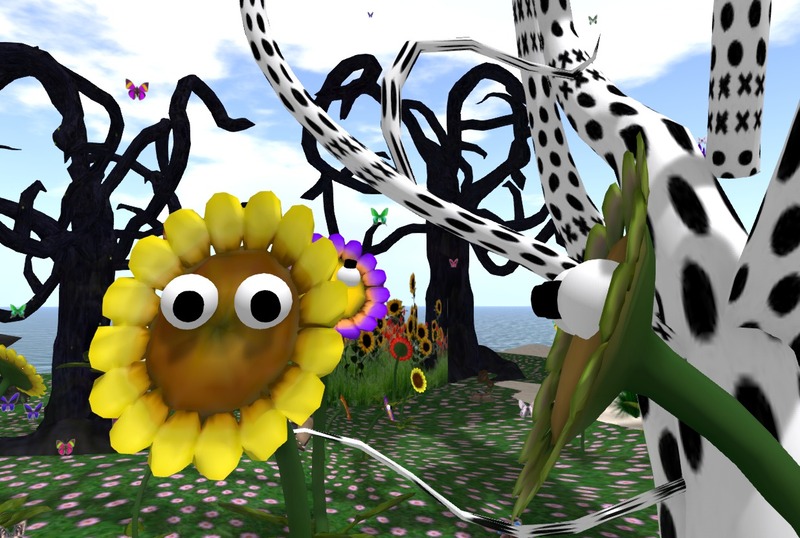 And with our conservative view on art here, do we get young people interested in virtual art? Not really! 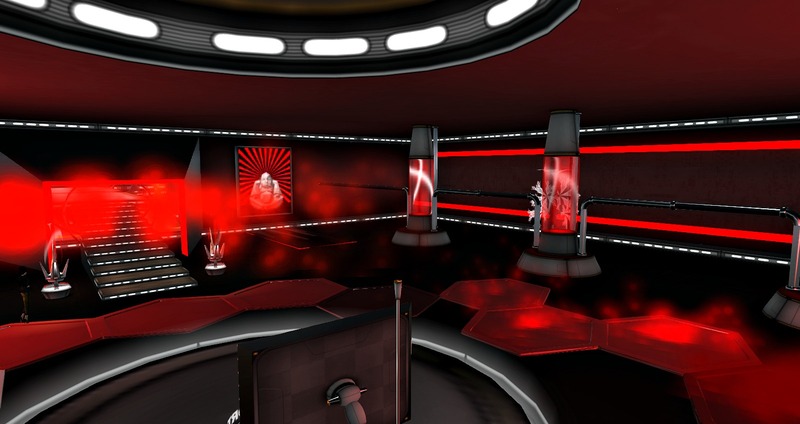 They can be found in clubs, if even in Second Life. And as well as Mikati Slades's great pop art sim attracted other people than the usual art community (more or less are we all born RL shortly after the Stone Age) I am convinced that Ascension will do too. Luckily a friend had a record of it and I could copy with the huge tape recorder of my father. I heard it to the extend and since then I followed the avantgarde scene losely. Later I understood that Kraftwerk was following the movement of Minimal Music, represented i.e. by John Cage or nowadays John Adams. I was lucky enough to live in Berlin during the Love Parade years and saw by myself that the commercialization of Techno started in the 90ies and partly became pop culture. 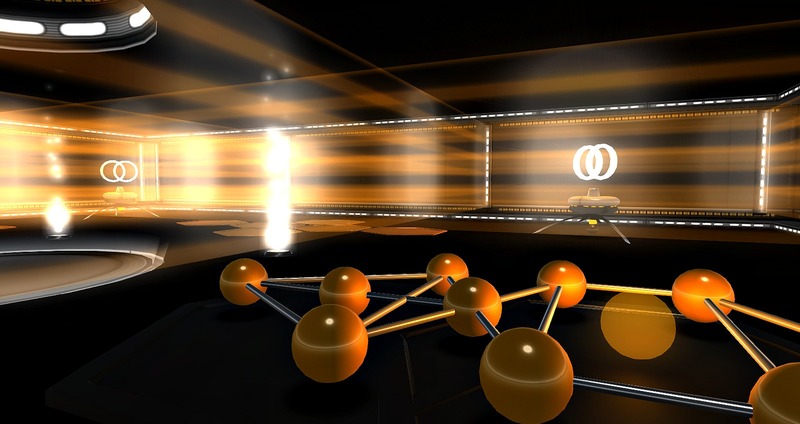 But still a part of the scene is not and it is still a music of massive complexity. To digest musical complexity has to be learned, which many never could and Techno is for me the most contemporary music. Alone from the poster you see how much this ballet was rooted in the Bauhaus movement (Triadisches Ballett) and far away from Pop Culture. The best musicians of their times always used technical innovations and I am convinced that Bach today would be a Techno producer. Just think about his composition “Das wohltemperierte Klavier”, which referred to a just invented method of harmonizing the tones, that made it possible to play a keyboard in all major and minor keys. Not to forget, Bach was not very popular at his time. His geniality has been discovered by later generations. My personal believing is that a progression of all kinds of art always goes hand in hand with the technical development, while the mainstream is naturally behind. Therefore I believe more in a future of virtual art and Techno as in handpaintings and Rock unplugged. 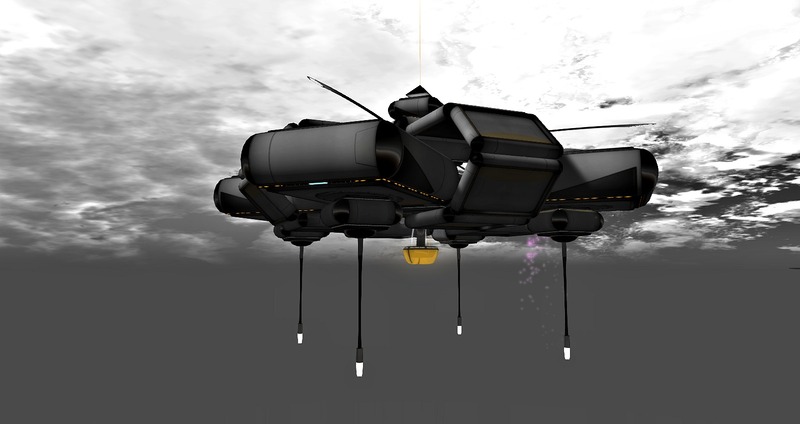 And we should be proud to have one of the best European Techno DJ's in Second Life who is a skilled builder too! 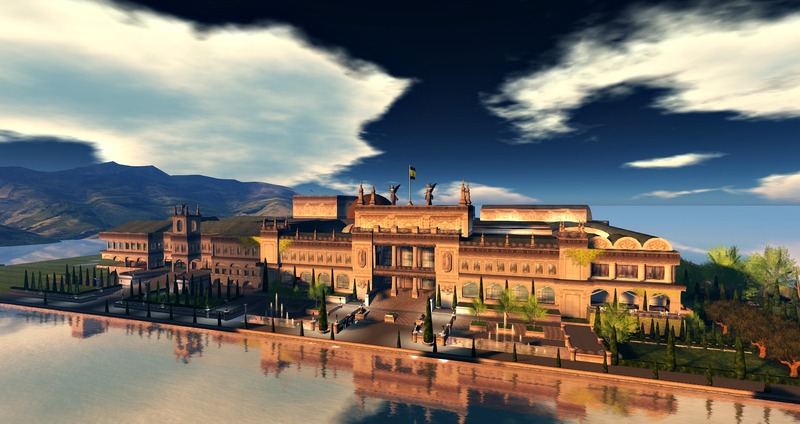 Linden Lab did right to put the build into the Destination Guide as Editor's Pick. I hope for some great Trance mix ups. Don't forget to take the gift at Level 7, which contains jam units to play with sounds. I love them. Looks as if this topic is discussed in the posts. Ziki Questi gave some comments om my post. Regarding the addition of musicians she is right, I just did a very personal choice not to throw to much names against the readers. But I disagree with the distinction between classical and popular music and I am actually surprised as I was thinking that it is only a German issue. 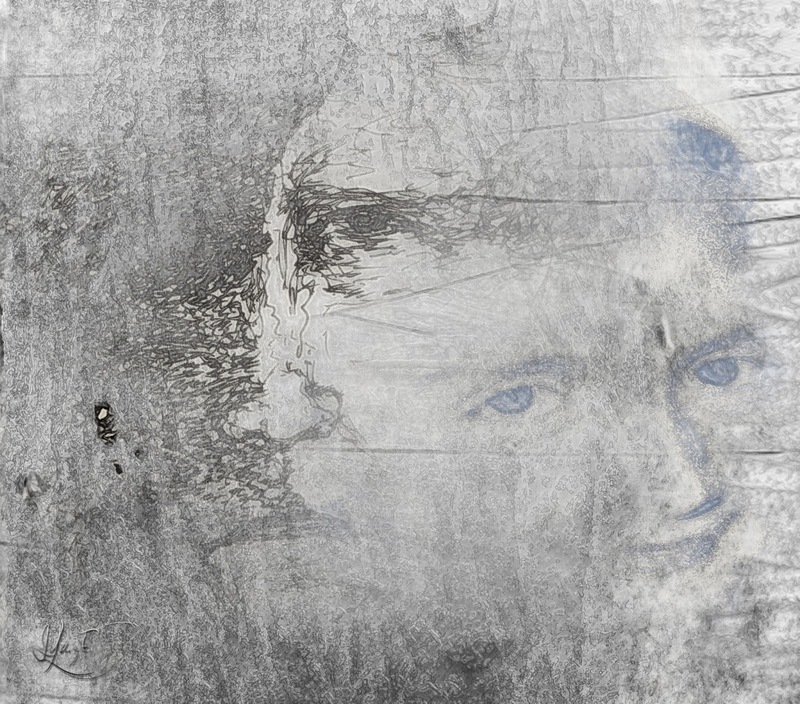 Looking into the past we have too admit that Mozart was some kind of pop star at his time. Does this reduce his quality of his music? Only the test of time will prove that, nothing else. 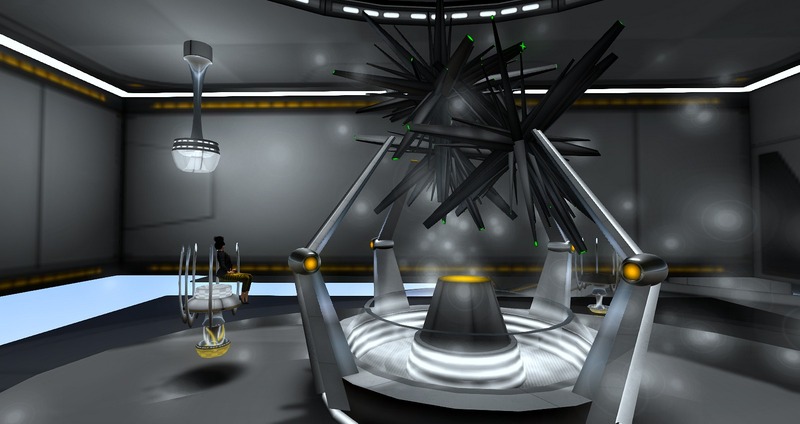 Also Inara Pey wrote a post which you should read. An also on this I have to comment: MUSIC IS ART! Therefore it is wrong to say that music is a nice addition to art. 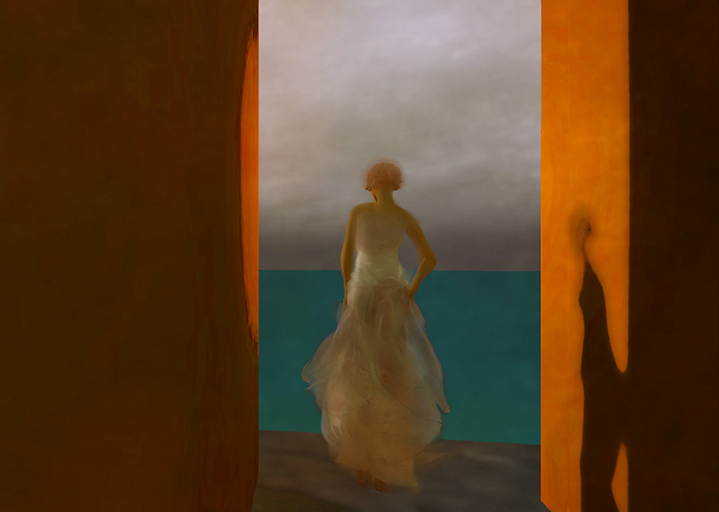 And secondly we cannot say that only artists are acceptable at LEA who don't promote their RL work in SL. 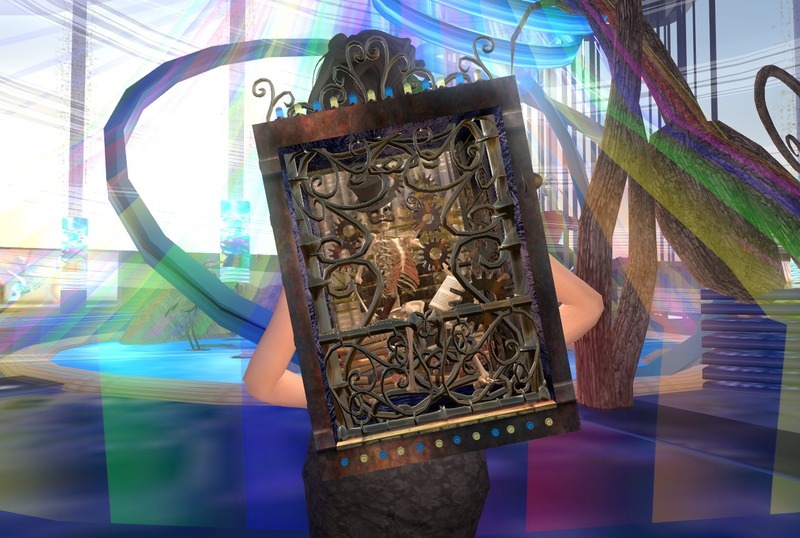 Because every artist who exposes his RL name in Second Life or who loads RL works up promotes his work and the LEA sims would be very empty if we would wipe out them. 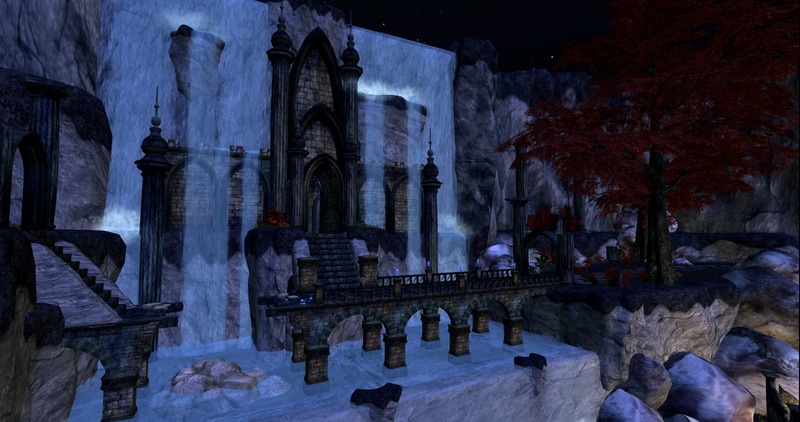 This will be my last post for the Fantasy Faire but I really need to introduce you to the RFL items of my favorite designers for several reasons: Cutea Benelli. The first reason is that she more than most others builders thinks out of the box. 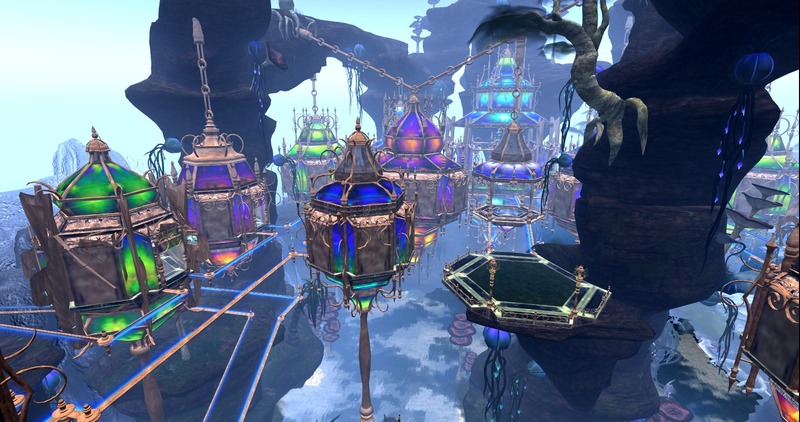 Although many of her items are steampunky, her creativity is borderless and always thinking out of the box. The second reason is that she is German. And she proves that we Germans are not as serious as many people still think. Her creations are often hilarious. 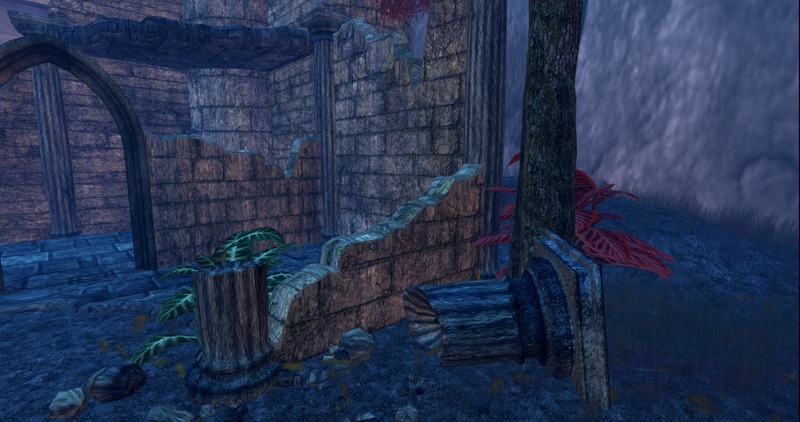 Not sure where to take the photos of the great outfit, I decided to show you some interesting places for your travels after the Fantasy Faire. Resonant Osmosis is not yet ready. Itwill open in June, but is already so great that it is worth a look. 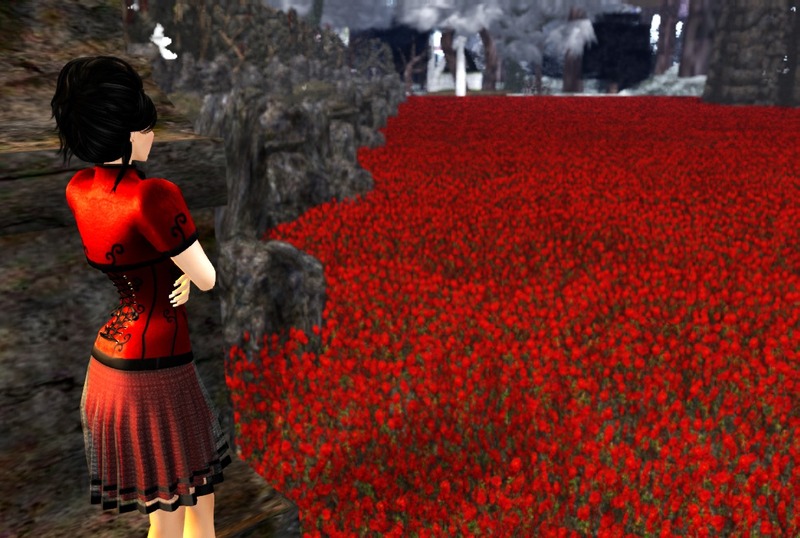 The beautiful Oolong Turquios Dress is taken at The Black Kite. don’t lose your head, right"
The photo is taken at the art project Kahos. Look at my shoes: Poison Ivy shoes from Grim Bros. Arriving at the Grim Bros. main shop I popped into fellow co-blogger Ziki Questi. Coincedently Cutea Benelli arrived too She gave us a little tour and we played a poetry game which I won :))) Read Ziki's blog post here. The garden behind the main store is really cute.the flowers and chairs are walking around. 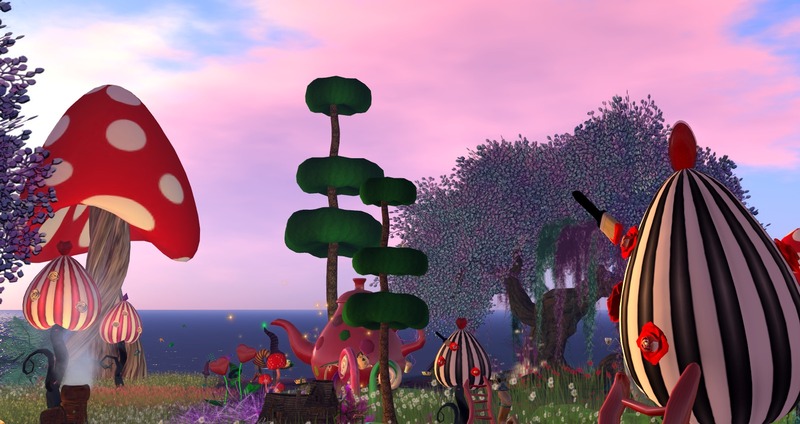 An event like the Fantasy Faire really can open the eyes for new opportunities in Second Life. 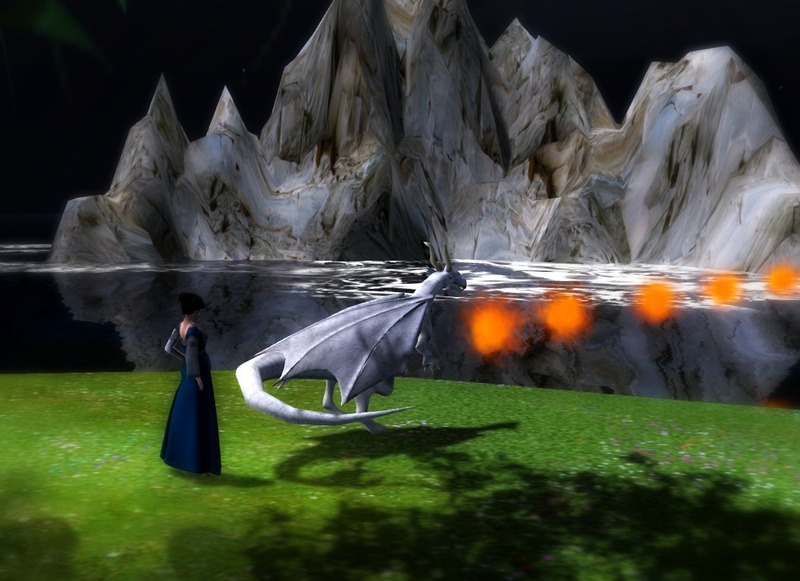 As blogger for the RFL items of Solarium Magic and Combat HUD's I discovered a new world. 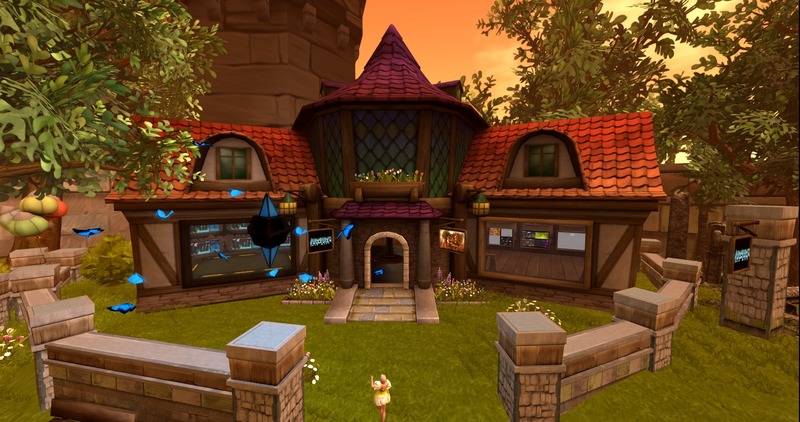 The creators, rynn Verwood and Encaitaron Korobase have their shop at Lumenaria at the Faire, which is built by Kayle Matzerath. 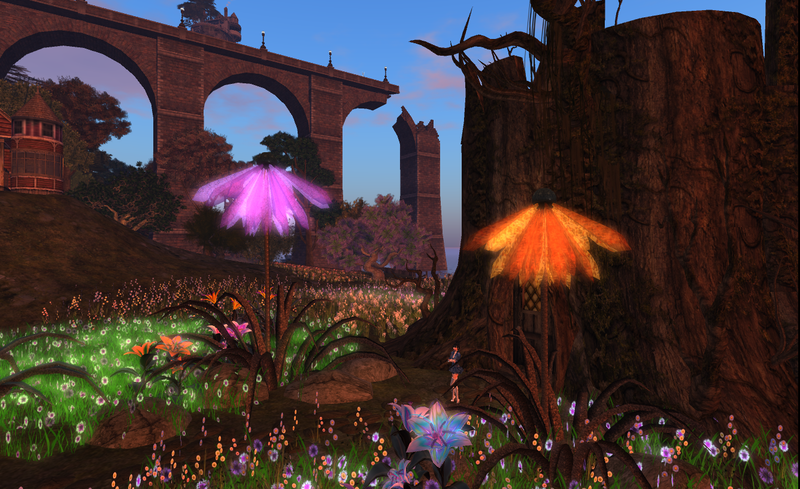 Rynn built another great place for the faire: Valley of IshNar, which host a hunt. Check both sims out before they disappear after the next weekend! I even fell more in love with this dragon. With a click at the HUD he rezzes in a fire ball and follows me then. But I also can sit and ride him. He can walk or fly. And he can roar and spits fire in different ways. The fire balls really push others avatars. I am not (maybe yet) a roleplayer, but I really enjoyed playing with these HUD's. Have you seen my beautiful dresses? All are new releases of Bilo for the fair and some of them are RFL goods. The meshes are greatly done and follow well the avatar. I even could ride the dragon with it. 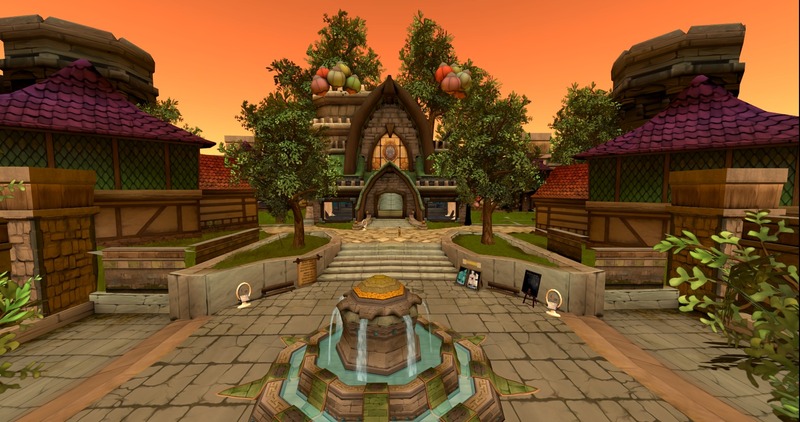 Also for fashion lovers is the Fantasy Faire a great place. 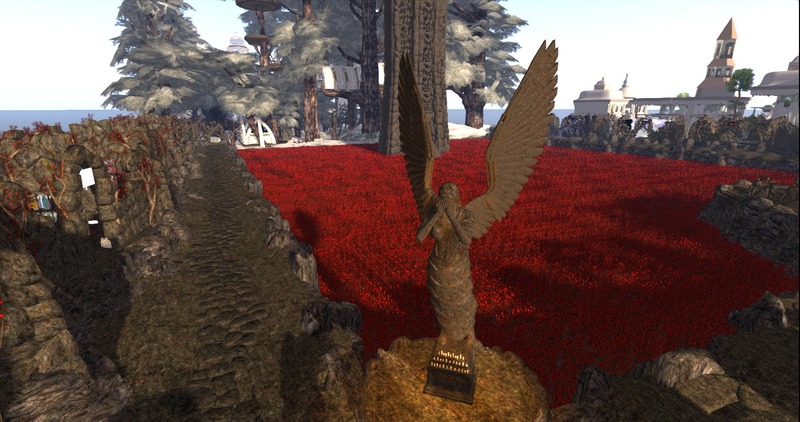 I am not surprised that the event already raised more than 4.000.000 Linden for RLF. lassitude & ennui ist one of my favorite designers and I love these cute Gothic doll corset dresses with can combined with the fitting jackets. Have a close look at the details as laces and the doubled skirt! 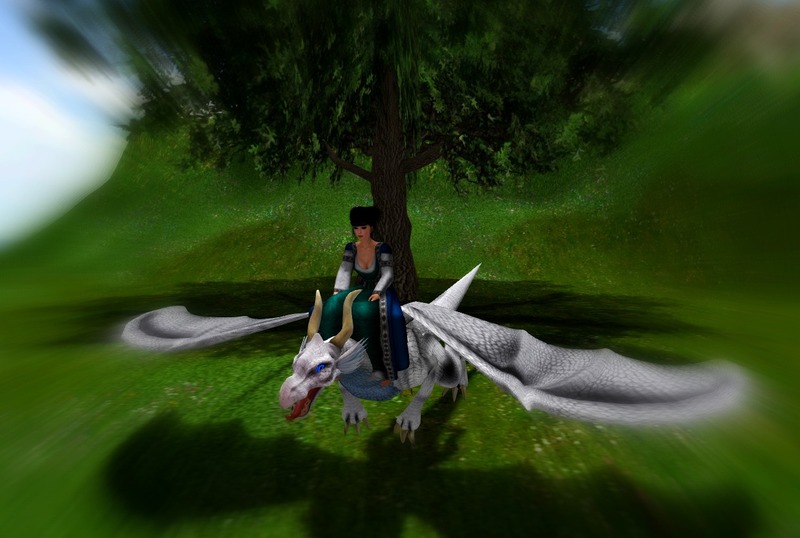 They are new releases for the Fantasy Faire. 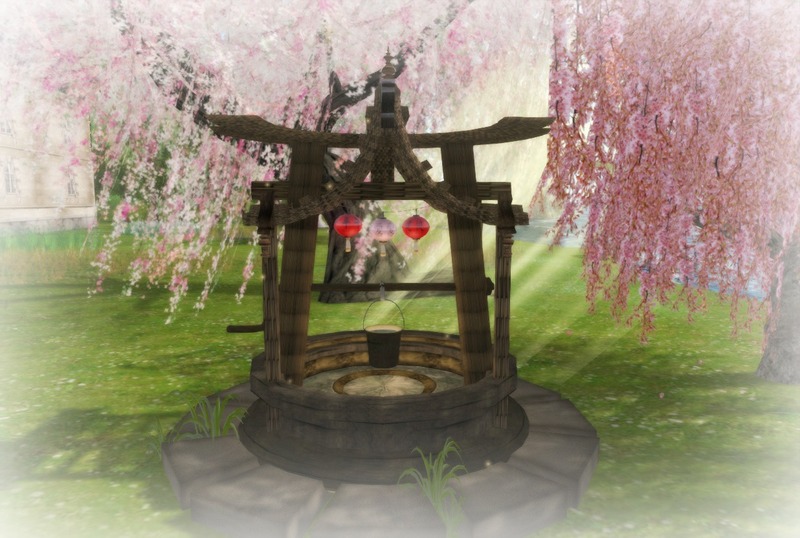 The Asian Wishing Well has the nice Chinese lanterns, that I like so much on the Lotus Valley Dream sim. Make a wish and click on the bucket. You will receive a wise quote of Confucius. 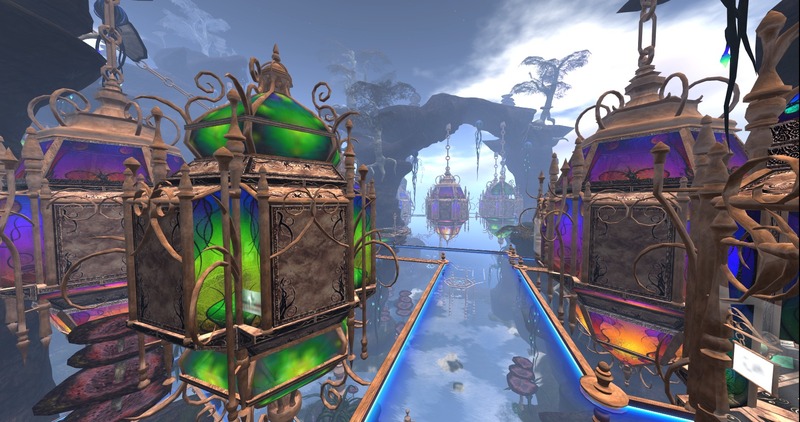 The Looking Glass is one of my favourite places in Second Life. long ago I wrote this post. The shop has recently moved to the sky. 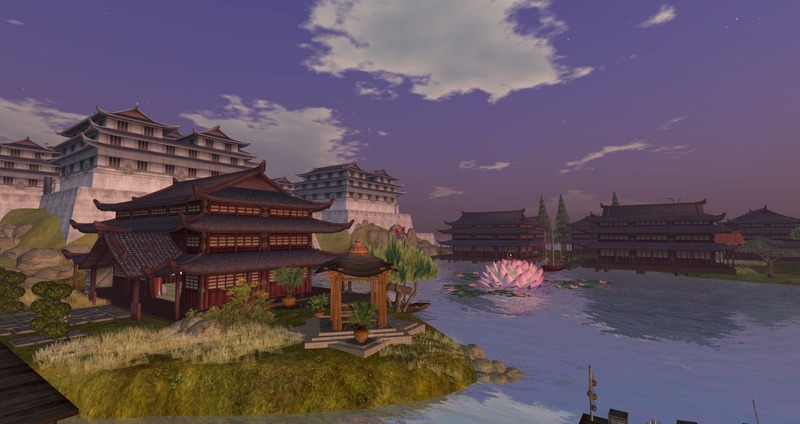 Sharni told me that this is the beginning of a major changing of the sim coming soon. 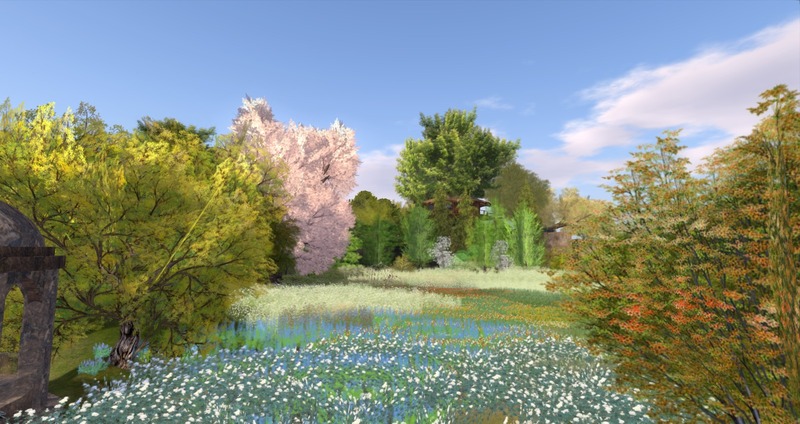 So, if you like The Looking Glass sim as much as I do or even more when you don't know it yet: Come and have a walk. 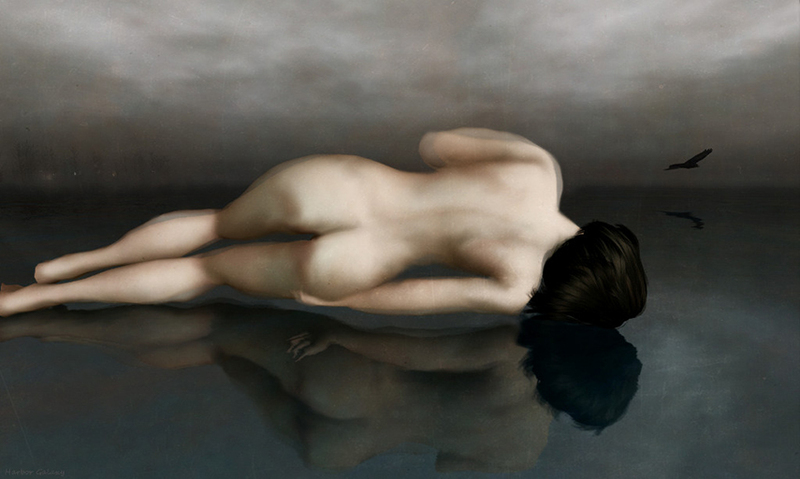 "The images are about . . . .
Just that, to look in the bathroom mirror, seeing herself and only her, no one else there, from a sleepless night and a numb body. The hard light hits her face, head full of dreams and memories. 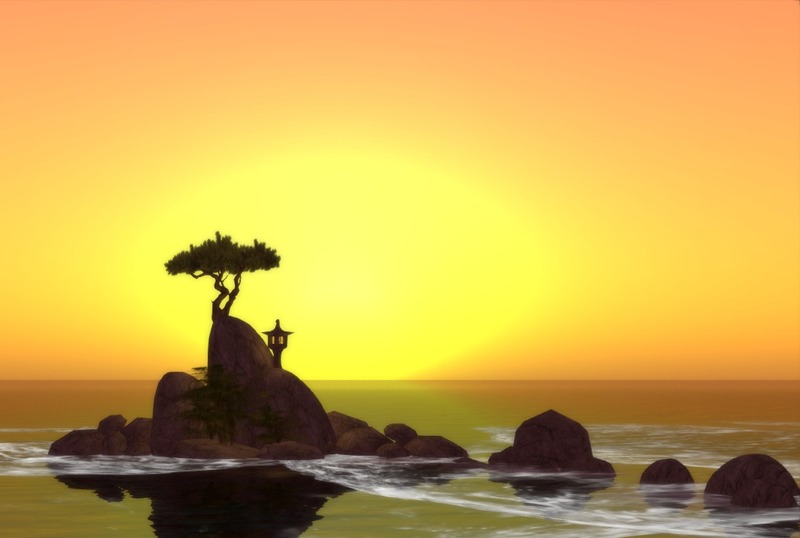 Solitude – the good and bad of it. Of course there is a liberating feeling of being by herself, but now she was leaning towards the negative. More like lived life, like feeling lonely either in the midst of a crowd or by choice. All the lonely nights, waiting for nobody…in solitude." I loved the powerful coloring of the works. It touched me. We all have fears in in life (at least those who are not completely dump). So many things can happen. But how do we deal with them? Isn't that the key to success in life? The "Wall of Fear" gives interesting insights. Go and face your fears! 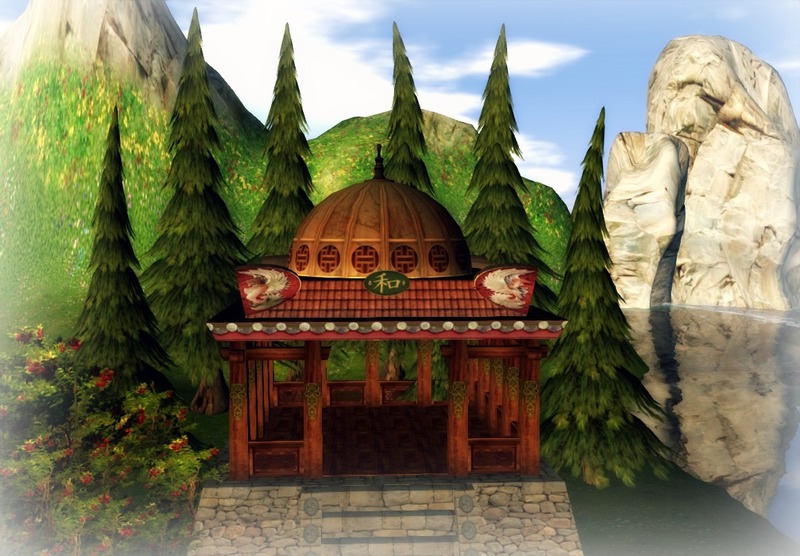 Opening today, Monday 22nd at 10 AM SLT! Avenue April has much spring fashion, new romantic and a preview on the next season, but also nice articles about places to explore. 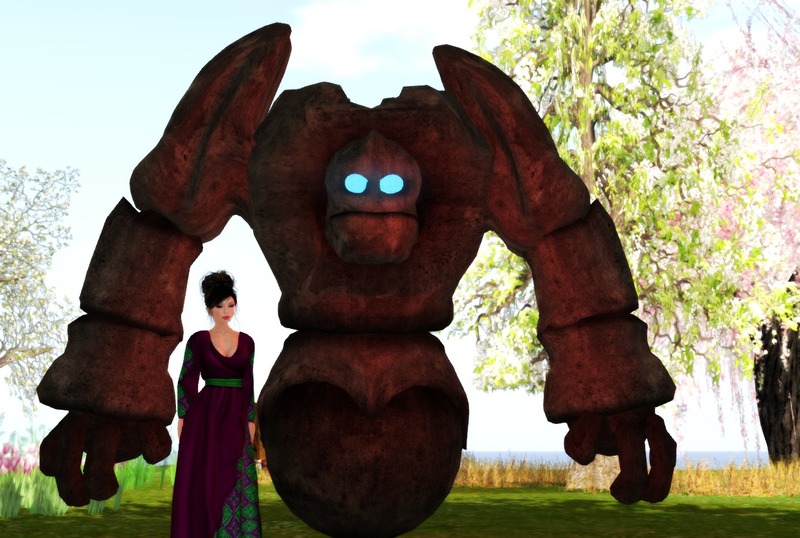 Especially in Second Life, clothing is more than just covering the avatar. Those creators who think out of the box make outfits come true, we could not imagine even in our wildest dreams. Precious Restless and Vitabela Dubrovna, creators of Boudoir have a borderless fantasy and I love all my outfits I got from there. As posted here, Boudoir had recently RL/SL event for their real life collection RL Boudoir exist already 10 years as the most famous croatian fashion brand. Let us wish them even more success. RL needs dreams and fairytales! Find more about Boudoir in their wonderful blog. It still not really warm here and I think everyone is waiting for it. 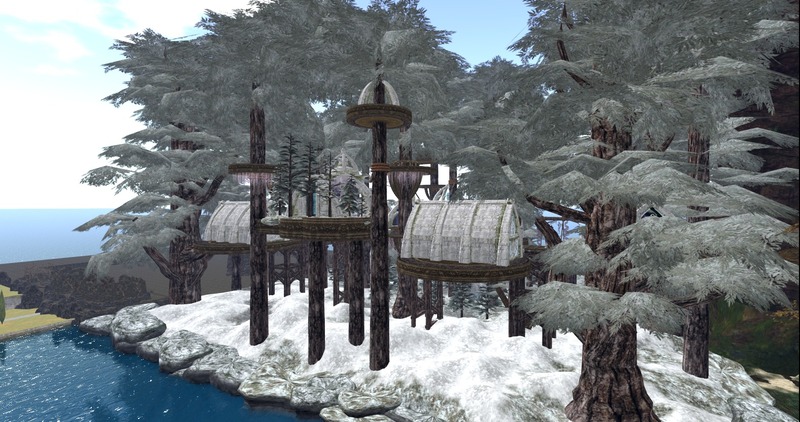 The picture is taken on the beautiful, winterly sim Evensong Woods at the Fantasy Faire, where you find the Boudoir shop. Go and have a look! 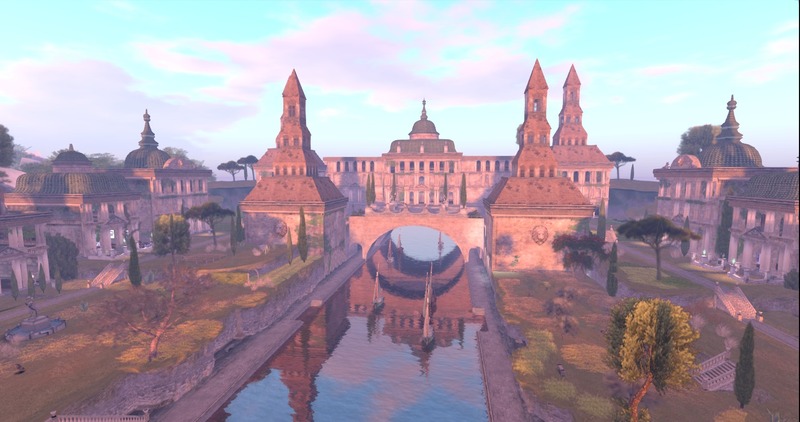 The Fantasy Faire opens today, daturday at 6 AM SLT and runs for a week.